DC's Helping Hand Program lent tools and provided trash bags. 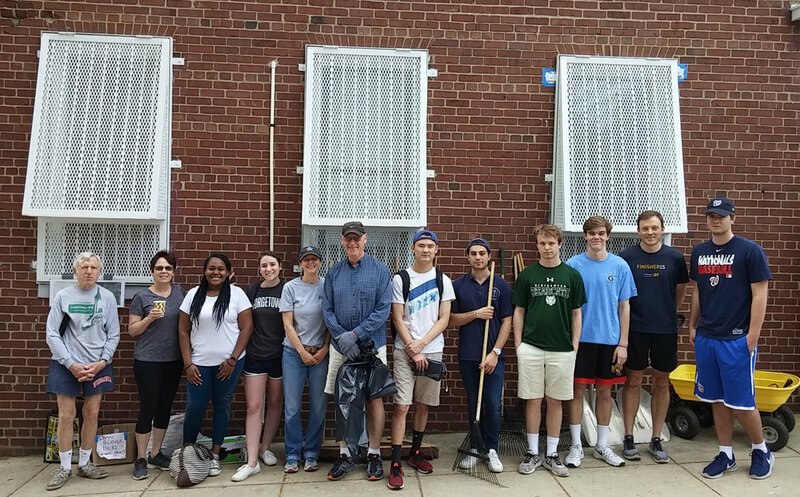 An enthusiastic band of volunteers of Burleith residents, GU students, and staff from GU's Office of Neighborhood Life and GU Facilities showed up early Saturday morning, May 12, to pick up litter on neighborhood streets and alleyways. Fueled by bagels and coffee provided by resident Glen Harrison, volunteers collected trash and bulk items in Burleith. Thanks to all who volunteered. We look forward to having even more volunteers at the fall clean-up. All trash was collected and transported by GU Facilities’ crew and trucks.